150 acts have been announced for The Great Escape festival 2015. Here are just a few of them! The Great Escape 2015, taking place in Brighton from 14th–16th May, has announced a number of acts; they'll be playing across the festival's many venues, with more than 30 scattered throughout the South Coast city. Playing the biggest venue, Brighton Dome, is Alabama Shakes; Girl Band (who recently signed to Rough Trade), Real Lies, Django Django and Zun Zun Egui are just some of the many other bands at the festival. 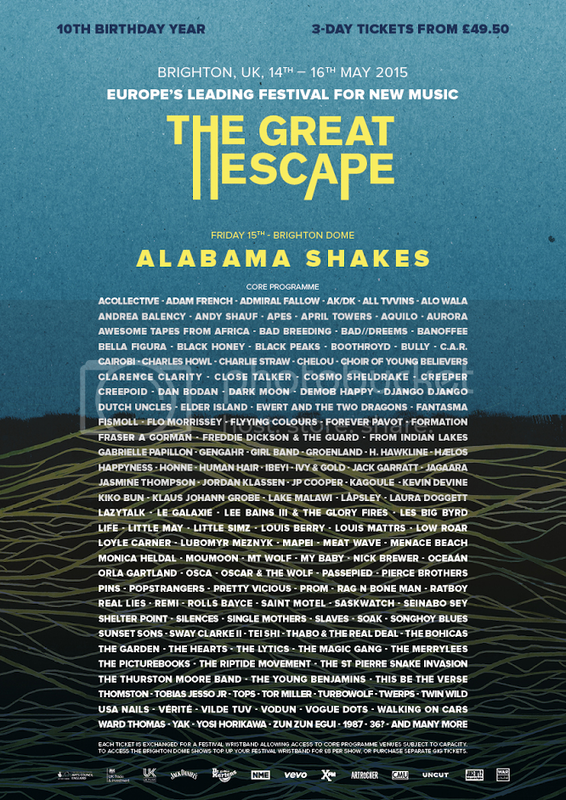 For the full lineup and ticket information, please head on over to the Great Escape site. • Check out our lovely photos from The Great Escape 2014.